The Eco-Beam and sandbag system was developed in South Africa six years ago by engineer Mike Tremeer as a way of providing low-cost housing. 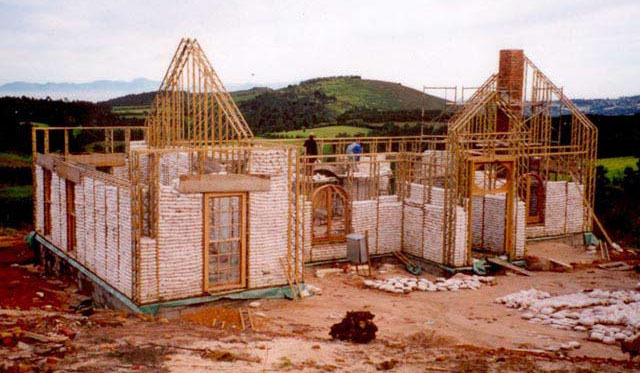 Today, timber-frame and sandbag homes have found their way into many suburbs across South Africa, as this building process - and the specific design of the materials - is particularly cost-effective. The building process, which can be undertaken easily without using highly skilled carpenters, is very simple and owner-builders can complete many of the stages that are involved themselves. 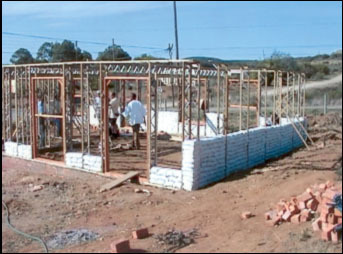 The method consists of three elements: a framework of Eco-Beams (timber and metal beams that form the framework for the sandbag walls); specially formulated geo-fabric bags, filled with sand and stacked between the beams; and, finally, the cladding of the beams with wire mesh and either plaster, timber or plasterboard. The completed structure is waterproof (sand does not have the intrinsic capillary action found in cement), fireproof and soundproof, and has very good thermal properties. While standard walls may develop cracks in the plasterwork that can carry through the entire wall, this will not happen with this process, as cracks cannot run through sandbag walls. 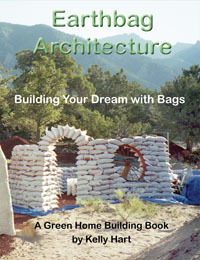 Eco-Beam and sandbag homes can be produced and built in a short period of time, as no actual brickwork needs to be done. Once the beams and bags have been transported to the site, the framework can be erected within a few days. Design features such as curved walls or unusually shaped windows that would represent an increased cost in a brick structure would not be the case here. 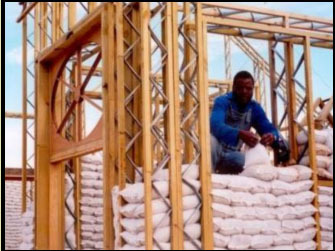 Once the framework is in place, filling and stacking sandbags can be undertaken by semi/ unskilled labour or by the owners themselves, reducing labour costs. Much of the sand required to build the structure can be obtained from the site. This form of construction is ideal in isolated areas, as the weight and design of the construction material makes it easy to transport. Sites with lots of sandy soil are ideal. You can find out more about this system by visiting ecobeamhomes.com or house-of-sand.com. We specifically disclaim any warranty, either expressed or implied, concerning the information on these pages. No one associated with this site will have liability for loss, damage, or injury, resulting from the use of any information found on this or any other page at this site. We are interested in communication from others who are exploring the possibilities inherent with earthbag building.